Send a picture or news! 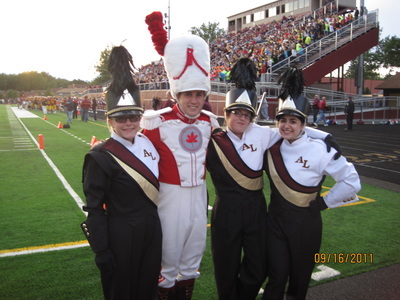 Several ALHS Band alumni came to OSU to see the band perform at the Buckeye Invitational on October 15th, 2016. 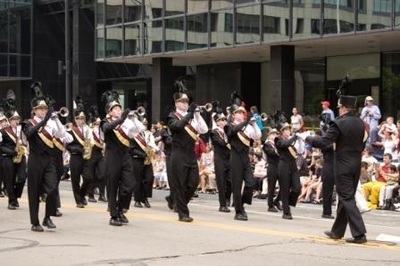 We were so happy to see them! 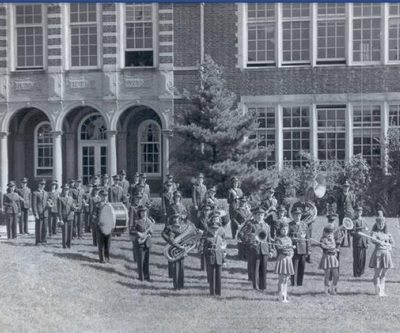 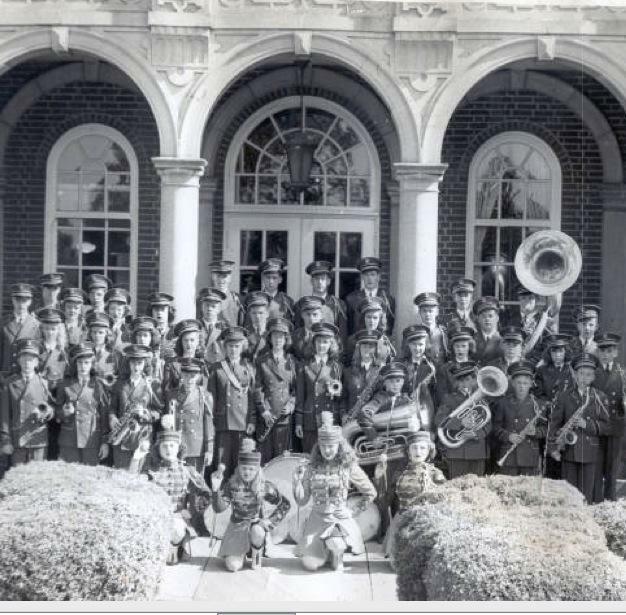 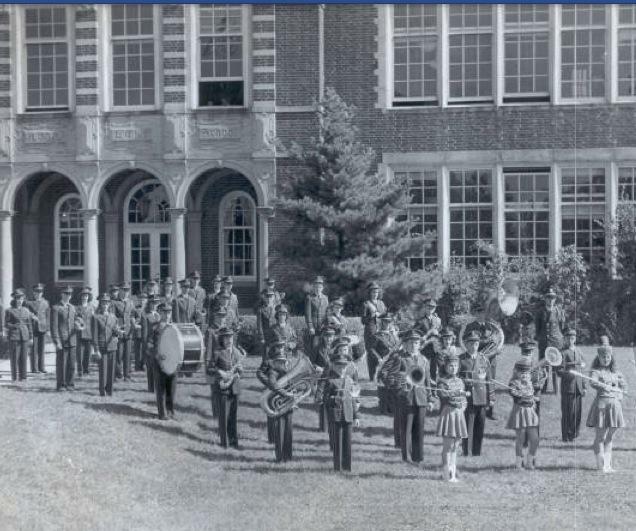 Barbara Cajka Hughes: Band was the center of my life in HS. 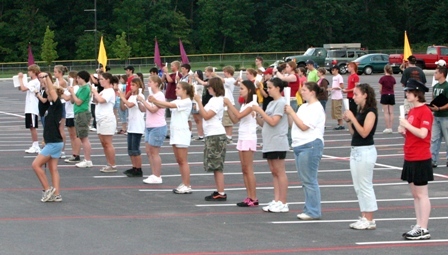 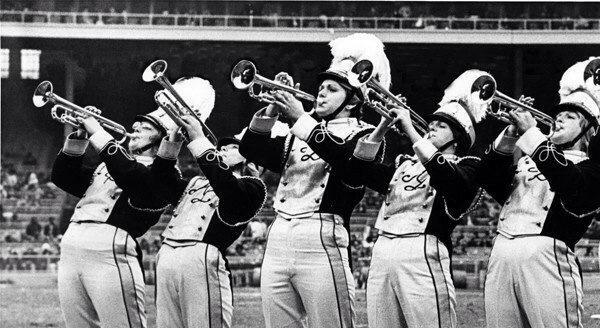 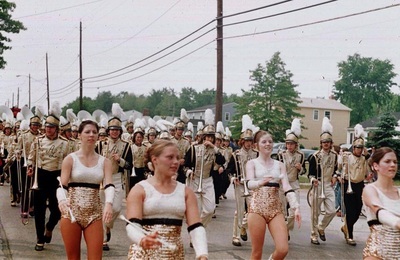 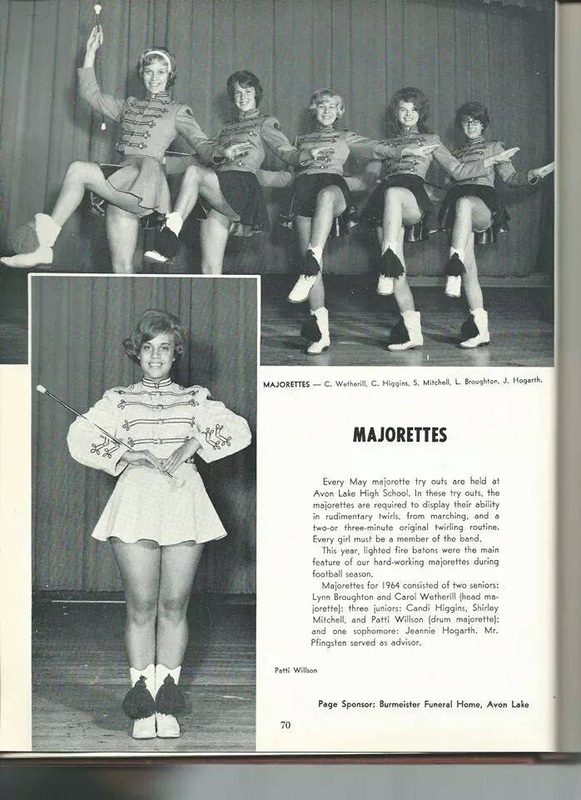 Played an instrument 10th and 11th grade and was a majorette in senior year. You could always find your friends in the band room. Rehearsal was held before school and we had a special bus to pick us up to go to the school. The band bus was so much fun after the football team won. 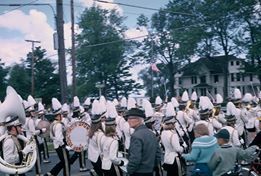 I remember marching in Bay Village in the mud after we got the new uniforms, which by the way, were black and white, much to everyone's dismay. 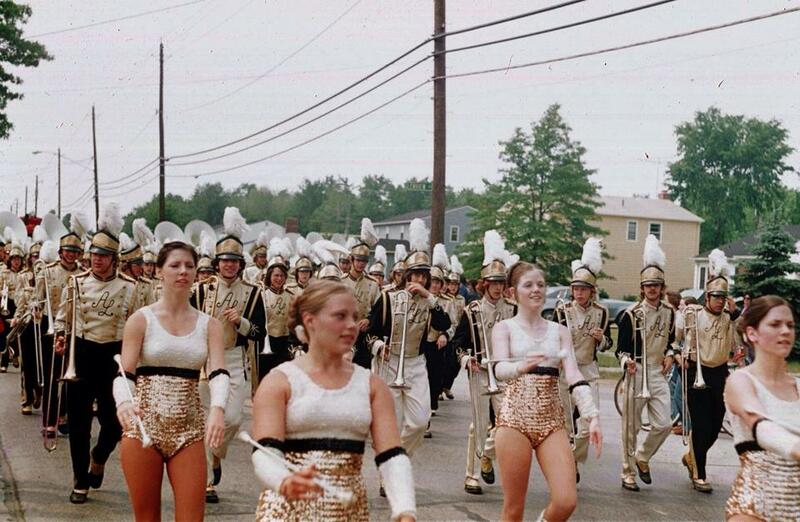 We didn't wear the shiny new uniforms in the mud. 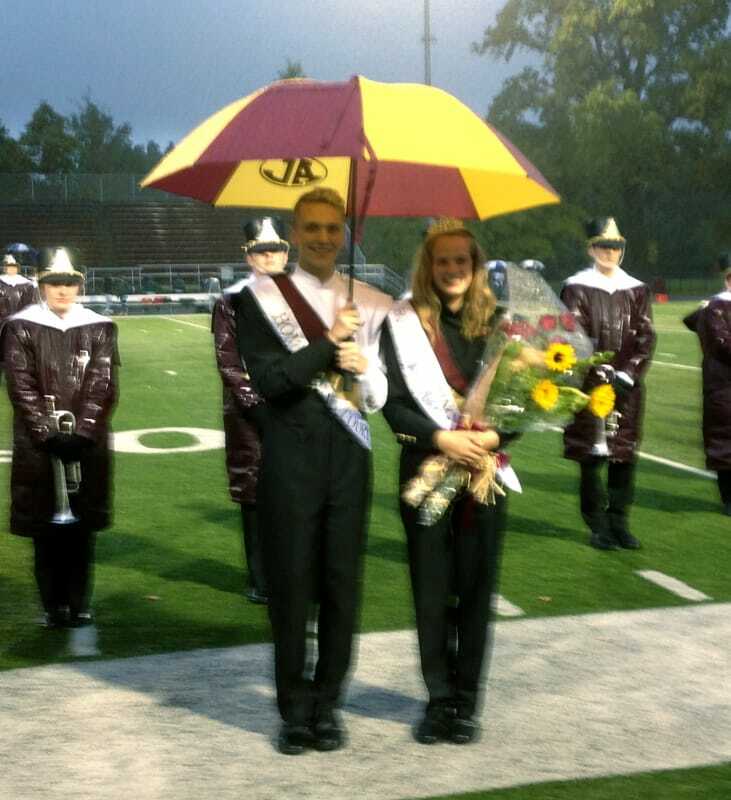 Instead we wore the accompanying raincoats. 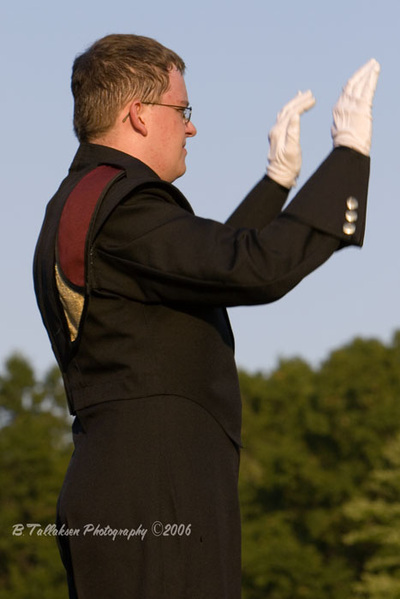 Again, much to everyone's dismay. 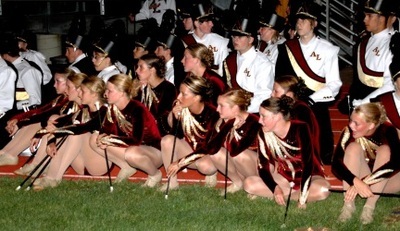 Can't even remember if we won that game or not. 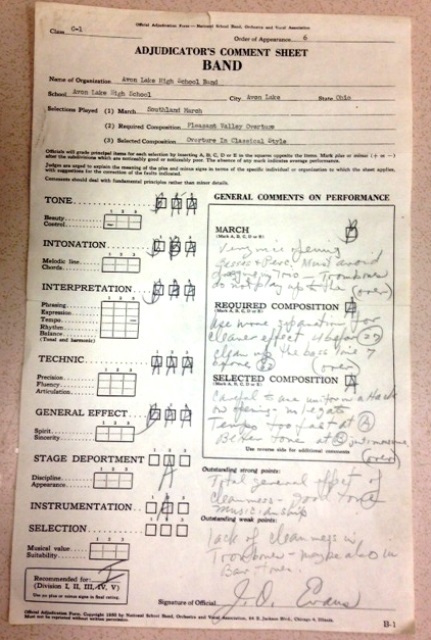 It was 1965. 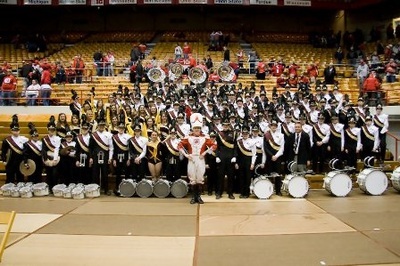 Besides TAC, I think band was the best part of high school. 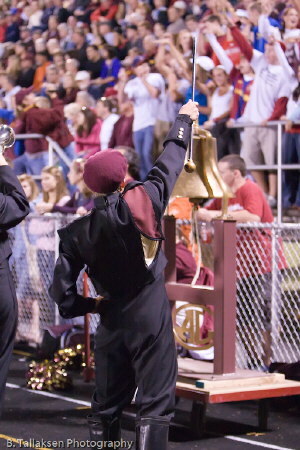 By the way, I have the AL Fight Song as the ring tone on my phone. 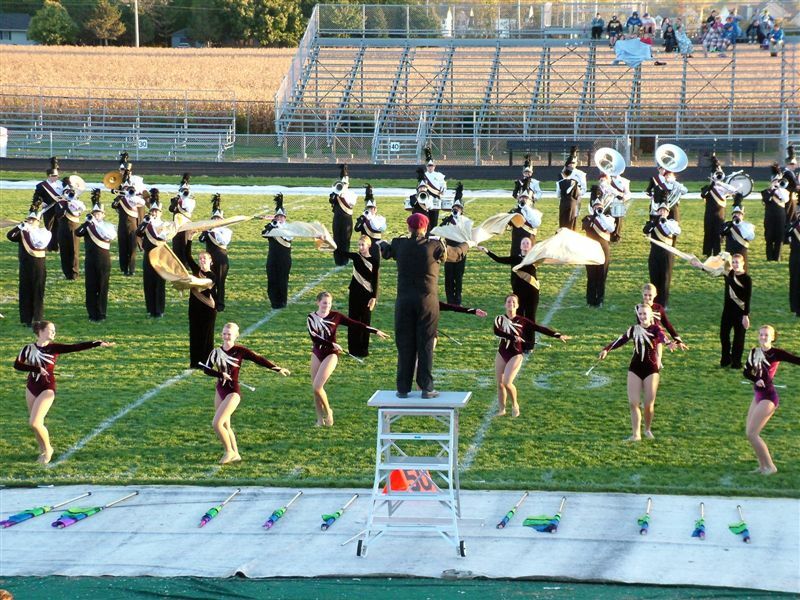 Notre Dame College Indoor Color Guard - 2014 MEPA Independent A Gold Medalists! 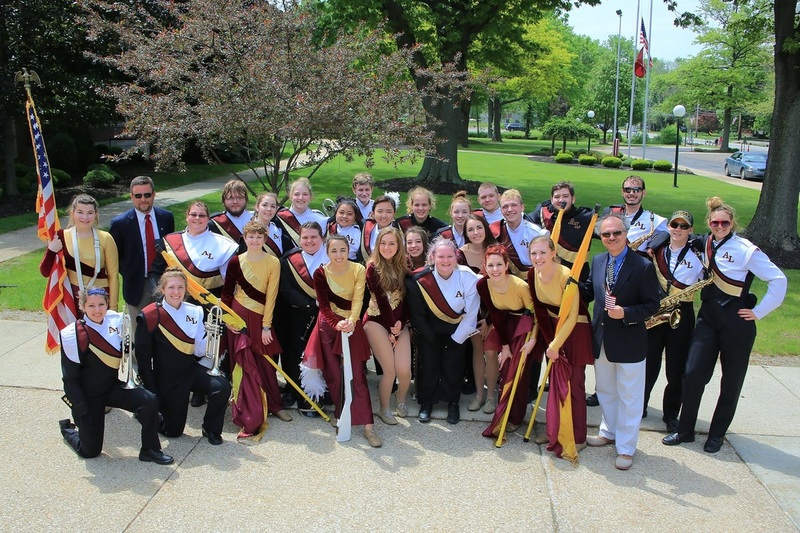 Seniors after the 2016 Memorial Day Parade with Mr. Ewald and Mr. Eddleman. 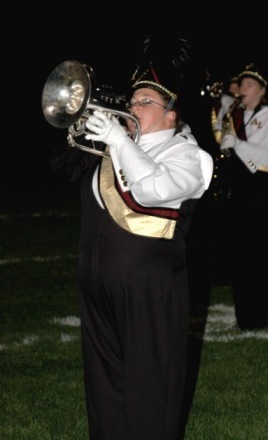 Nicole Ziemba, 2014 Homecoming Queen. 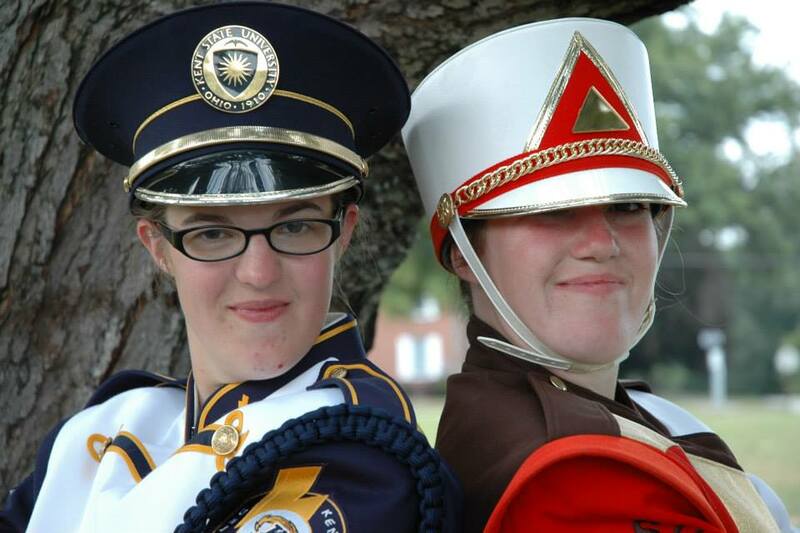 We are proud of our band seniors Mary Kilgore, trumpet, and Riley Jantz, field commander, who were crowned Homecoming King and Queen in October 2013. 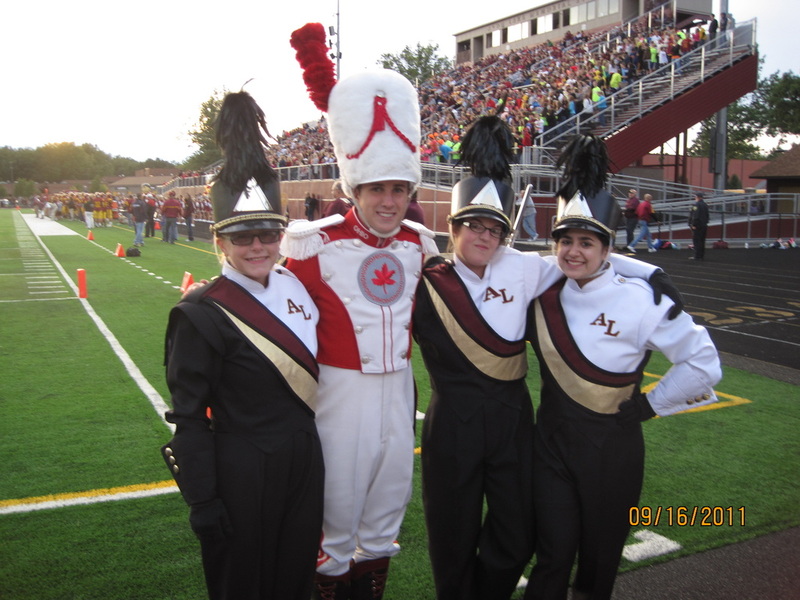 We wished them the very best as they finished their senior year at ALHS and headed off to their new adventures this past fall! 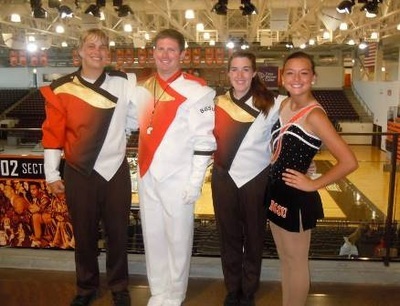 Ryan Flynn, ALHS Class of 2010, was named drum major of the Bowling Green State University Falcon Marching Band along with Zack Deininger from Wayne, OH and Emily Haver from Bowling Green, OH. 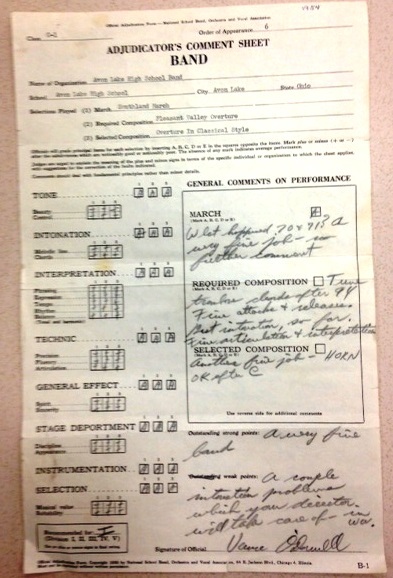 Ryan was Field Commander of the Avon Lake High School Marching Shoremen and prior to that played mellophone. Katherine Hickey: I was in the marching band from 2007-2011! It was the essential factor that made me who I am today. 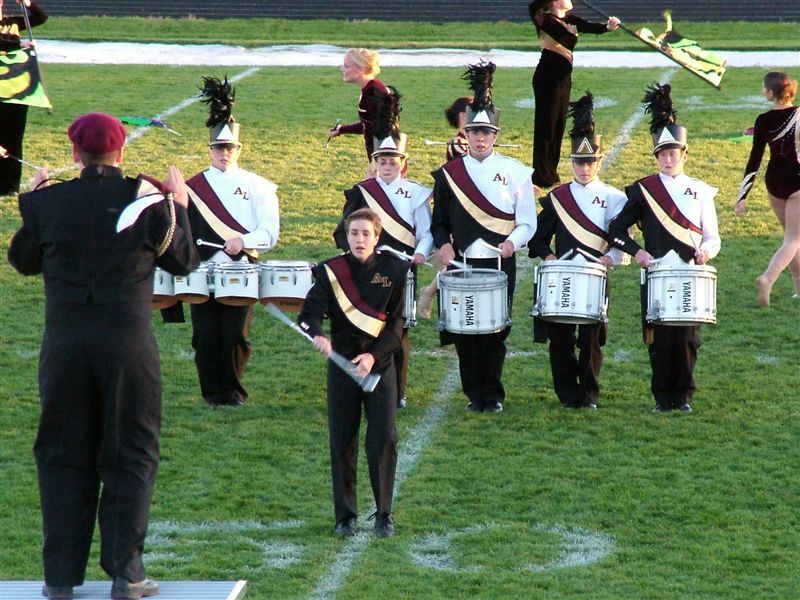 I was in the front ensemble, a bass drum for 2 years, and ended my career as a Marching Shoremen with being the first female field commander. 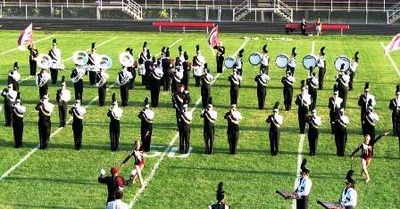 I wish I had a full picture of the band online, but my only copies are at home. This past season I was in the Falcon Marching Band with 3 other ALSH alumni. Brian Hathaway, c/o 2009, completed his senior vocal recital at The Ohio State University. 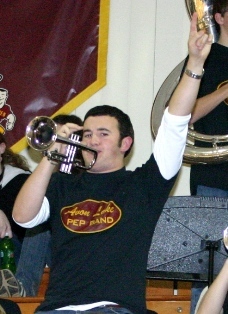 Brian also plays the trumpet (which he played in the Avon Lake Band) and is a member of the OSU Marching Band. 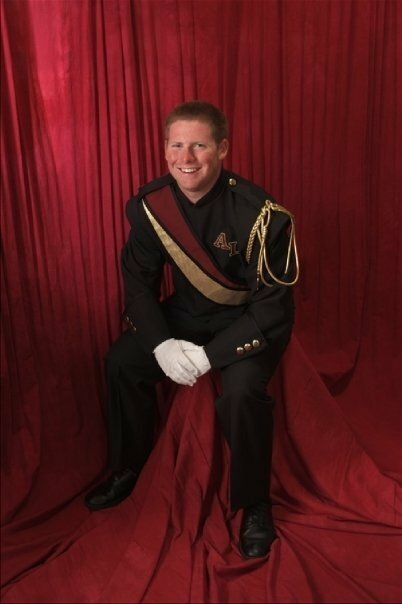 Congratulations, Brian, and good luck to you as you finish your degree! 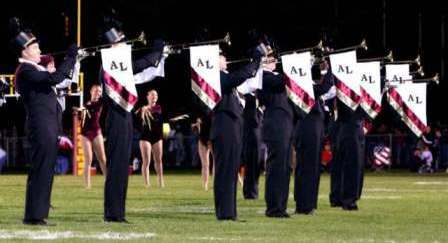 Alex Riley, trumpet player and field commander while at ALHS, auditioned and earned a spot with the DCI finalist Bluecoats of Canton, Ohio. 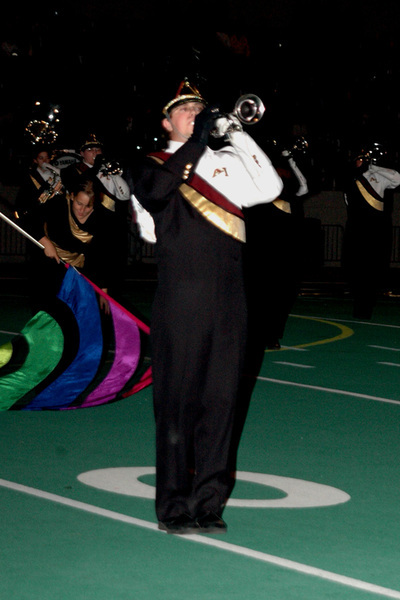 Riley is currently studying Astrophysics at the University of Texas at Dallas and travels to Bluecoats camps once each month in preparation for the summer touring season. We at Avon Lake are proud of the fact that Alex is continuing to play his trumpet and perform with such a prestigious organization as the Bluecoats. 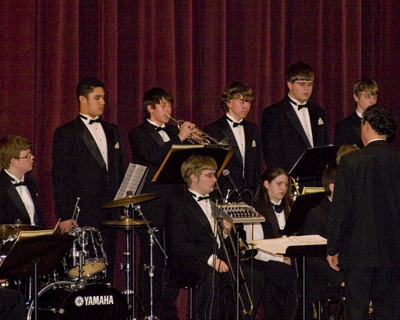 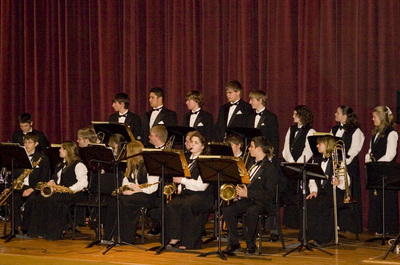 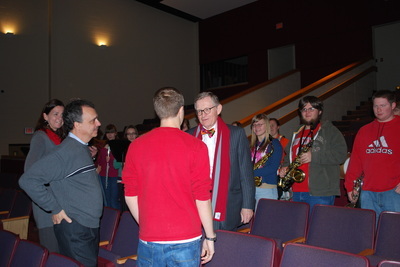 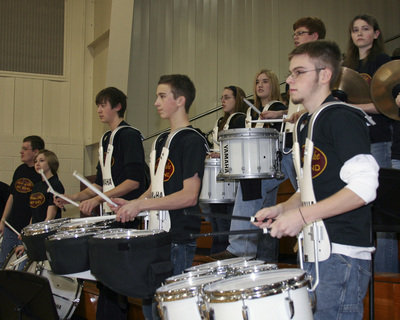 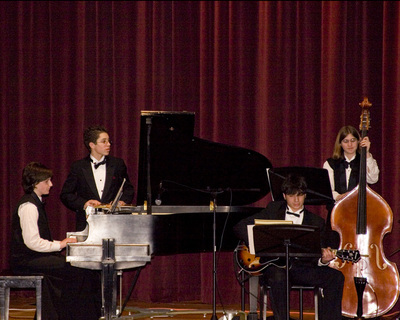 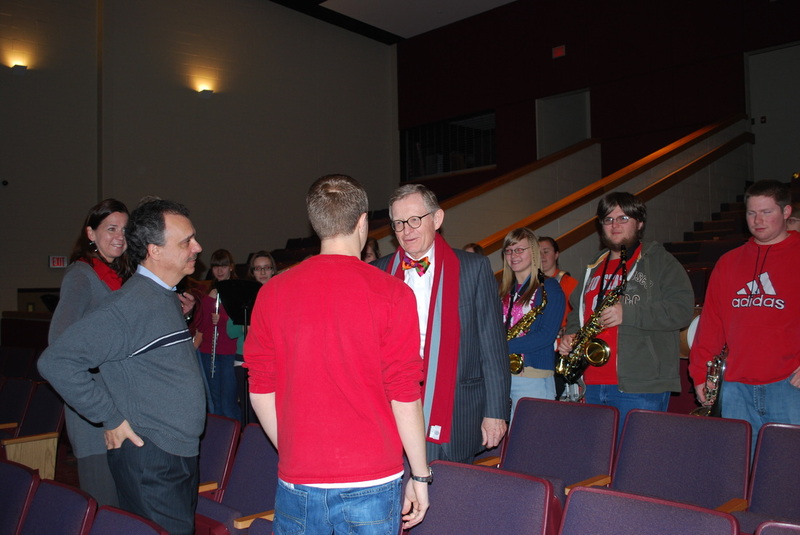 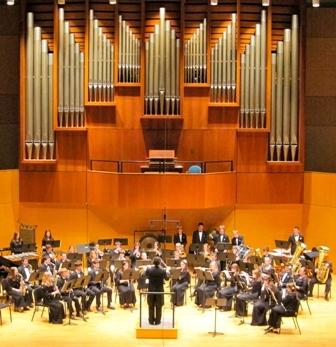 He also affirms part of our band program mission to promote lifelong performance and support of quality music. 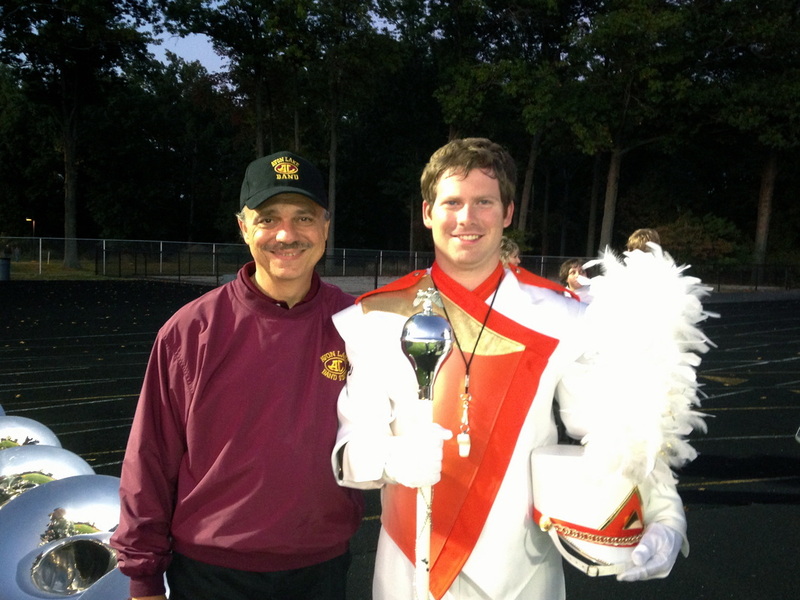 Congratulations Alex, and we look forward to seeing you on the field this summer with the Bluecoats! 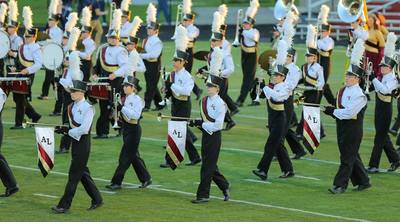 The Avon Lake Marching Shoremen maintain a long-time tradition with a Drum Major leading the band at football games. 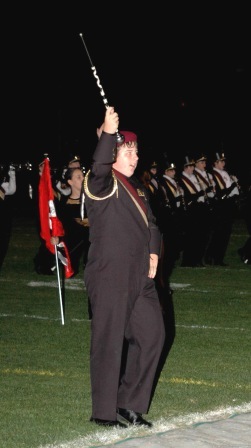 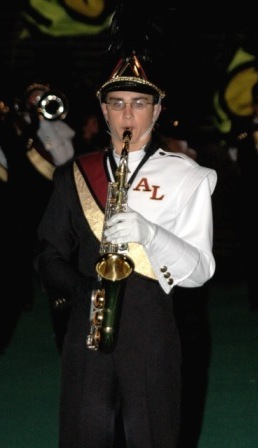 Our 2012-13 and 2013-14 Avon Lake Drum Major was Kellen Henry. 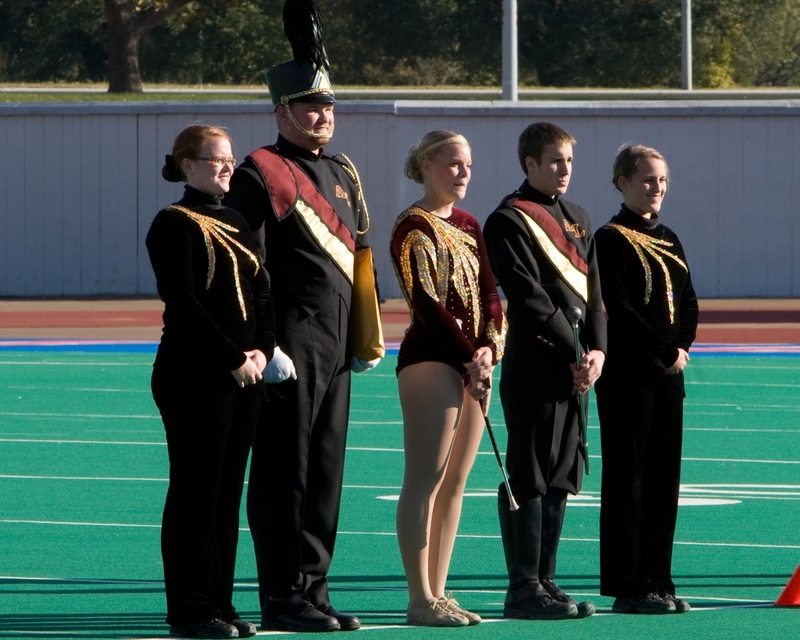 He is dressed in the same drum major uniform as used by the OSU Marching Band (pictured). Below you will find a picture of Jason Stuckert, who was an Avon Lake Drum Major and went on to be Drum Major for two years at OSU. 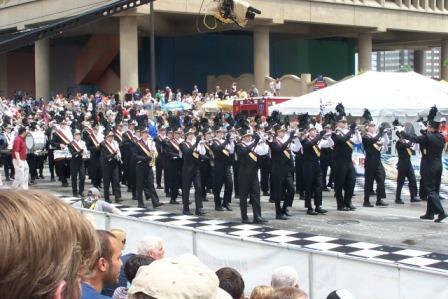 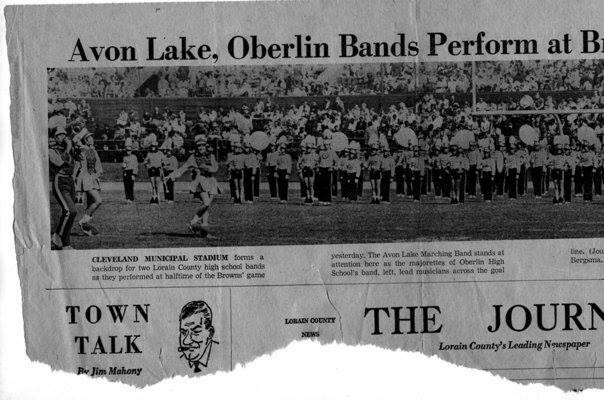 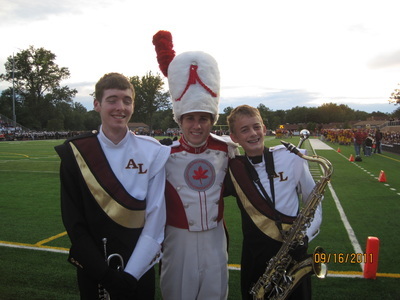 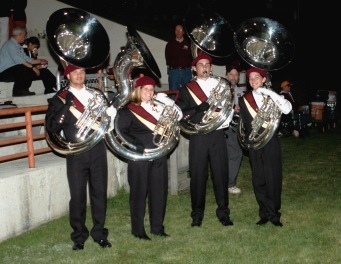 Scott Sommer, Eric Sommer, and Jason Stuckert were Avon Lake Drum Majors who went on to be Drum Majors for The Ohio State University Marching Band. 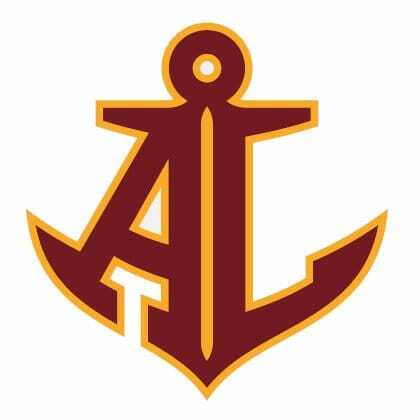 Along with Jason Stuckert, Eric Sommer, Scott Sommer, and Kellen Henry, add Tom Treece, Jack Mclveen, Bill Voigt, Kenny Concar, Don Rosso, Albert Curtis, Bryan Kerns, Casey O'Rourke, Megan Sargent, and Justin Bray who were all Avon Lake Drum Majors. 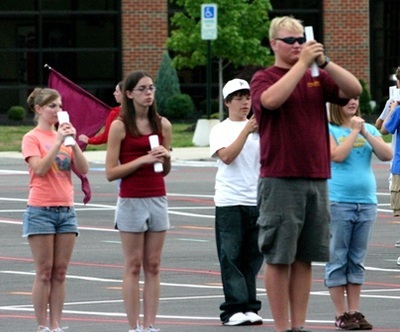 And there are many more not mentioned here. 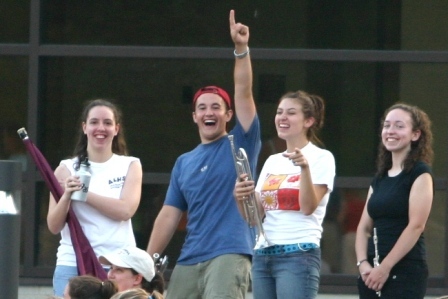 Let us know who they are and send a picture if you have one! 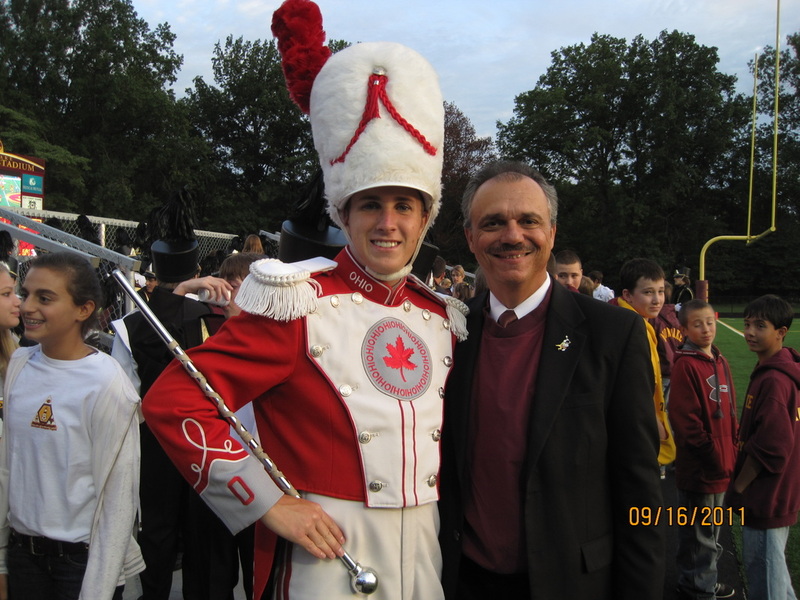 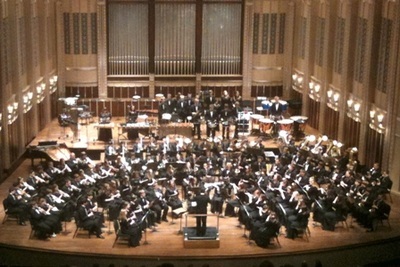 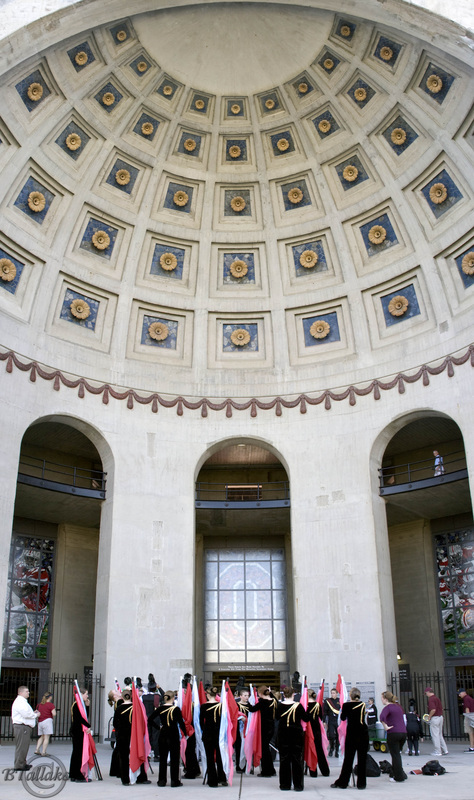 At the 2011 Annual Veteran’s Memorial concert, OSUMB Assistant Director, Jon Waters, announced Jason Stuckert as the 2011 Most Inspirational Bandsperson. Jason is the 10th Drum Major to win the award, and the 4rd Drum Major in the past 10 years to win as well. 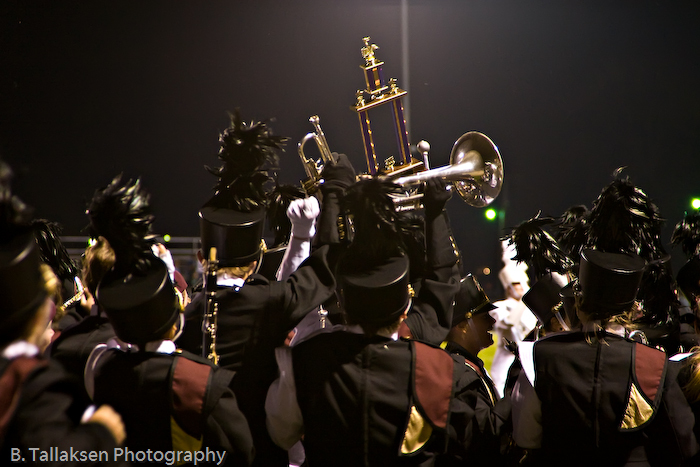 The Most Inspirational Bandsperson award is recognized as the top honor given by the marching band to any member. 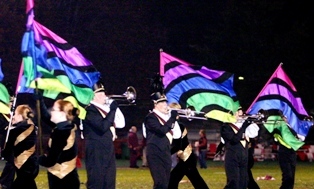 What makes it so special is that the recipient is selected by votes from all Marching Band Peers and Directors. 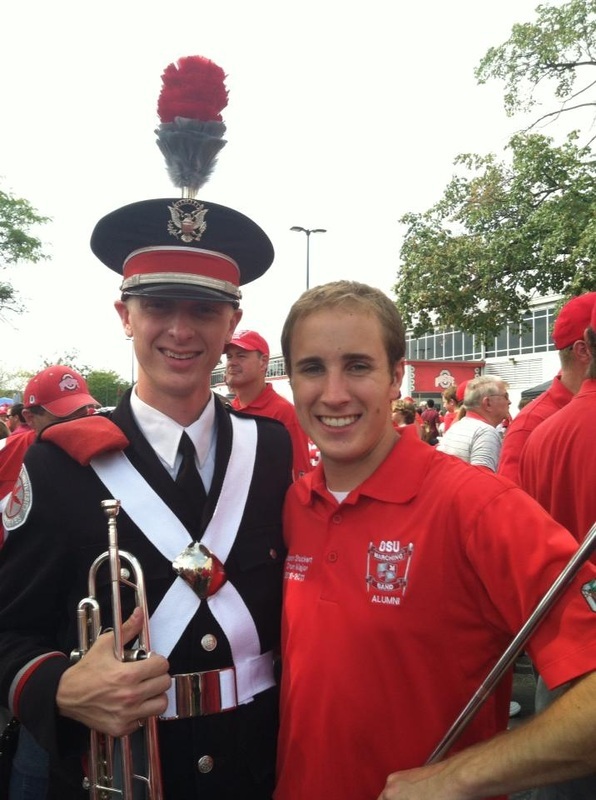 Jason Stuckert is a junior Marketing major from Avon Lake Ohio. Before coming to Ohio State Jason was a two-year drum major for Avon Lake High School and an active participant in the Drum Major training program throughout his high school years. 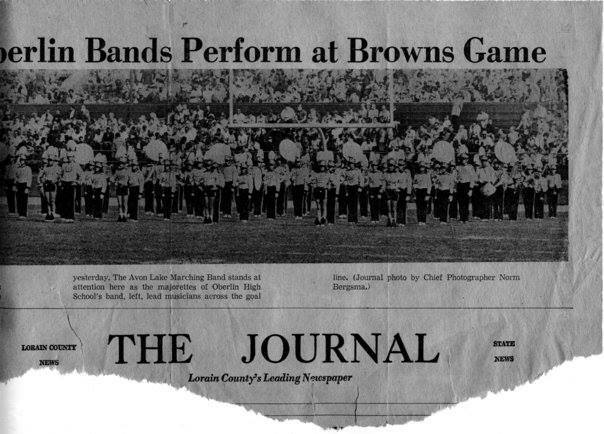 The Most Inspirational Bandperson Award is in its 54th year, with the first recipient being bandsman V. James Polidora in 1957. 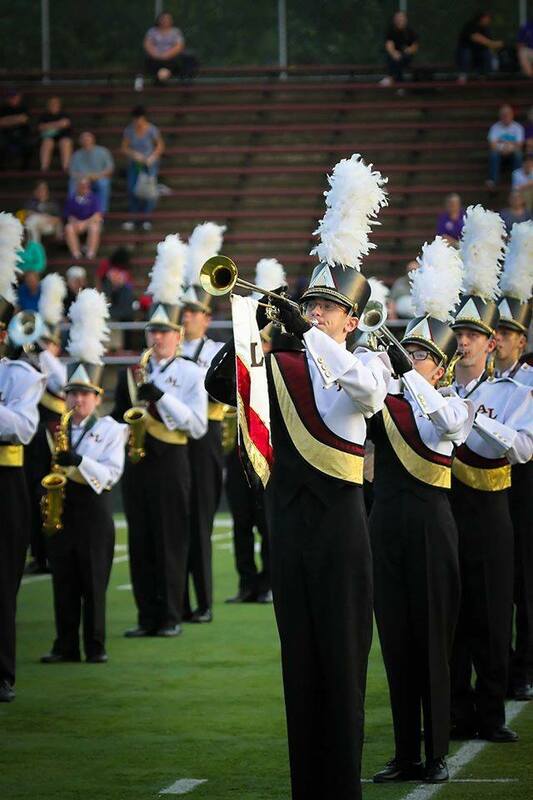 CONGRATS Jason, the honor is well deserved! 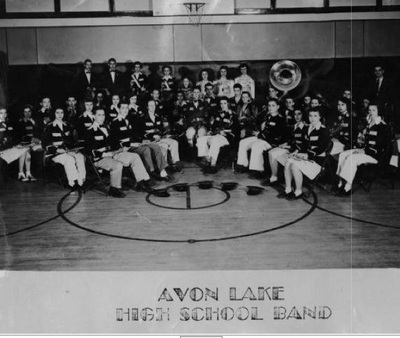 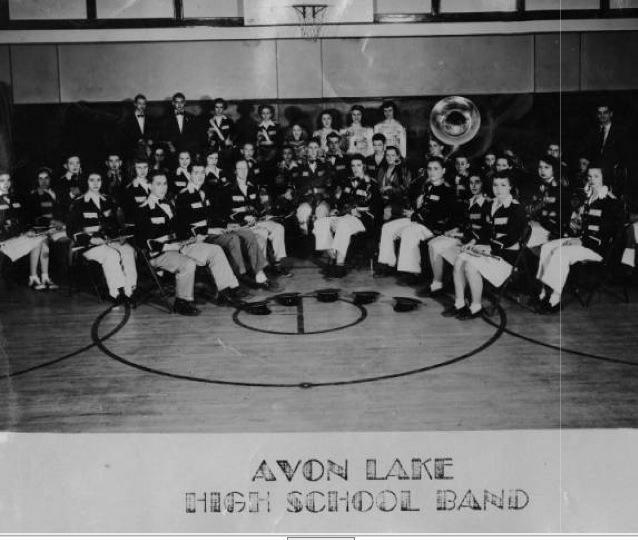 A former Avon Lake Band Director who composed the Alma Mater and the Fight Song. 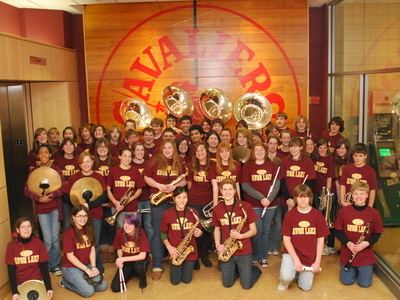 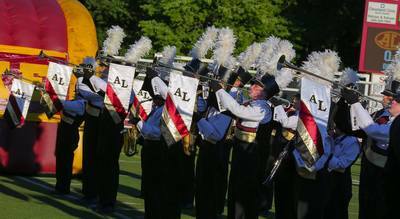 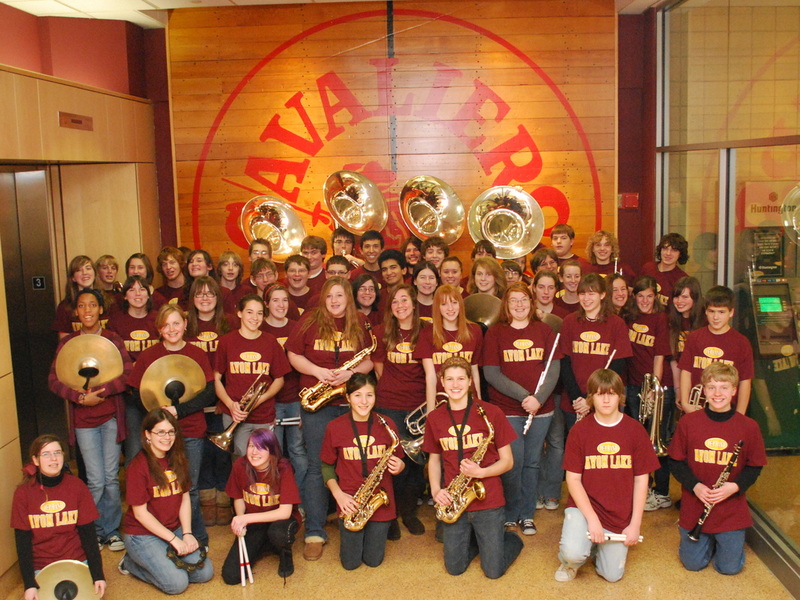 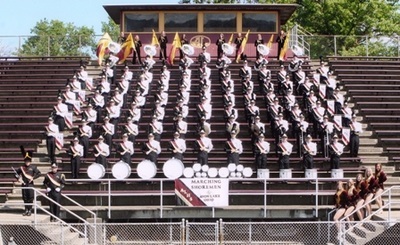 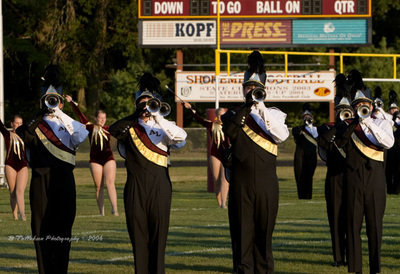 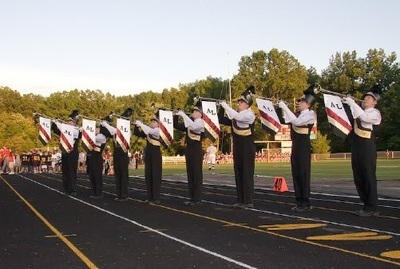 The Avon Lake High School Herald Trumpets, a tradition since 1985, continue to perform at football games and the December concert every year.